TGN – Darksoul Meaty Mount Servo Adapter for the HPI Baja. It is a perfect fit, and does not alter the throttle or brake linkage angles. Also, the stock Losi arm is a perfect fit onto the output shaft. The 5755 at 347 oz/in @ 6v and a great price at $87.00 is pretty hard to beat. I have been using this Digi 4 for several years, and have multiple 5755 versions in all my other large scale rigs, and have only ever burned one up, which was actually my own fault from not having end points correctly set up, and even then, HiTec was great in replacing it no charge. I have some added bits on here, the spacer attached to the mount for the brake brace IS NOT part of the Meaty Mount. Also, to make this work, you will need to space the left side of the servo up just a hair with some small washers, or some other form of spacer to be perfectly level. Also, please be aware that the hardware included with the Meaty Mount is standard, so you will need to use that hardware when utilizing the Meaty Mount. Last weekend seen the first LSOR challenge cup to be held in the UK. The event was held at a wonderful venue. It is a fully working equine centre. The track was built on the dressage arena. The surface was a mixture of sand and fibre. This event was important for a few reasons It was the first indoor Largescale race held in the UK and it seen the formation of the LSOR Short Course class. This now means there can be a national SC champion in the UK. The class was created to fit the Losi as the Losi 5ive T fell outside quite a few regulations from both EFRA and the BRCA. The Losi class was a popular class at the event with some 14 drivers entered. One of TLR’s stars Darren Bloomfield was in attendance and TQ’d but missed the final due to his wife going into labour! Congratulations to Darren and his wife. Even the German national champion Mark Krisig couldn’t beat the losi’s with his W5! Congratulations to Mark Pearson from Uber RC for his win in the SC class. A short video I mashed up of the footage I got. Some video highlights of the event. Everyones favorite forum for Large Scale has just made an exciting announcement. Time to collect some cool parts for your HPI baja or Losi 5IVE-T.
Click HERE to enter to WIN. Details below. RC Large Scale together with it’s Vendors, is now offering Exclusive Vendor Product Giveaways to its Members. There will be several levels of Prizes depending on your level of membership on RCLS. Rest assured we will have something for everyone. RCLS offers 3 types of memberships: Free, RCLS Supporting member Star $20/yr and GOLD star memberships $50/yr. Membership Stars can be purchased HERE. Purchasing a Membership Star greatly increases your chances of winning something Cool, as RLCS will have additional Giveaways for Subscribing Member only. To enter a Giveaway watch for the Orange thread prefix “VENDOR GIVEAWAY”within certain Vehicle Forums. To enter simply post in the the thread, 1 entry per day. Be sure to check that you have the required post count or membership level to enter the giveaway. Each giveaway will be clearly stated as to which level of membership it pertains to. At the end of the contest a random number generator will be used to pick a winner using the post count #. You will have 1 week to claim your prize, if not claimed it will be placed back into the giveaway box to be used for another giveaway. IF YOU ARE NOT AN RCLS MEMBER, NOW IS THE TIME TO SIGN UP. WE HAVE SOME AWESOME PRODUCTS TO GIVE AWAY. REGISTRATION IS EASY AND ONLY TAKES A COUPLE OF MINUTES. 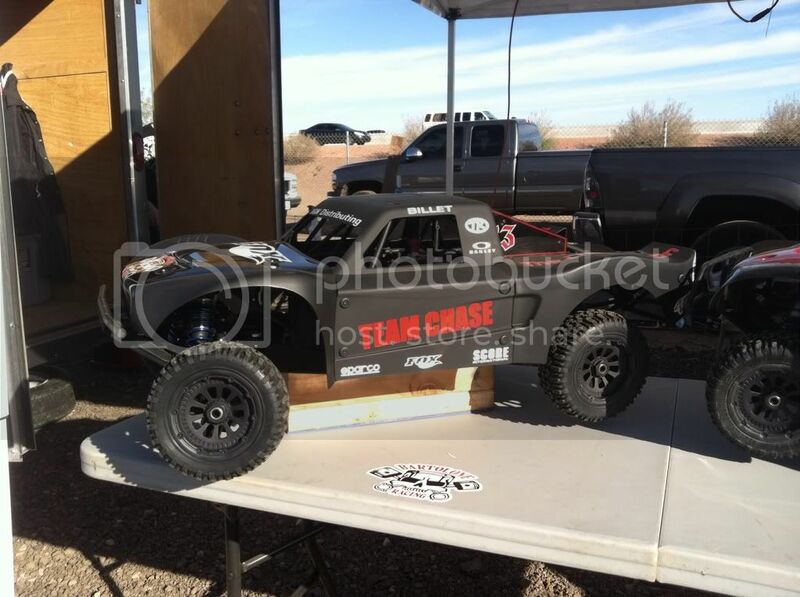 Thanks to our friends at TeamChase, LSN will be receiving images and video updates live from the 2012 The Dirt Nitro Challenge at the Fear Farm in Arizona. We informed you about this race in THIS post weeks ago. 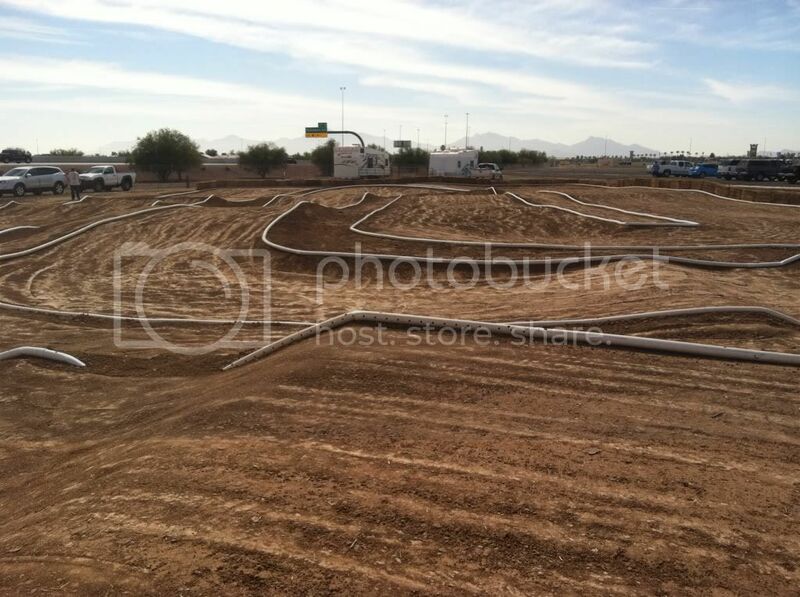 This year The Dirt added a new large scale R/C track where many hopeful racers will be trying to take the title as the 1/5 scale champion. They are offering both 2wd class for the HPI Baja and others as well as a 4WD class for the Losi 5IVE-T and maybe a FG or MCD or two. Watch below for updates. The newest images, videos and race info will be posted at the top. If you would like to follow the TeamChase Fear Farm post on RCLS just go HERE. All updates are all being uploaded to our smugmug album HERE. The guys are just sending WAY too many images to keep posting them here. Total of 140 photos so far. Tomorrow we will be uploading a new video. Working on a new video of footage that TeamChase has sent in. 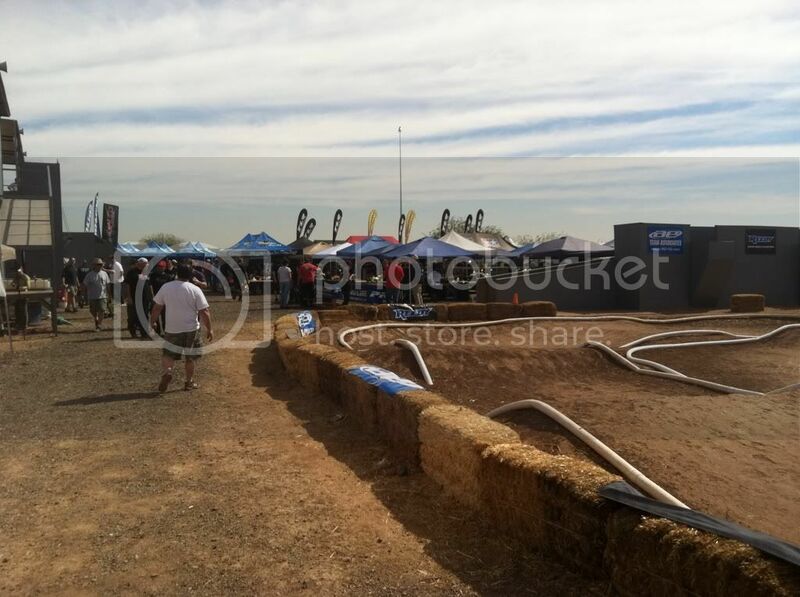 The track looks great and we are getting video of only Losi’s so far. 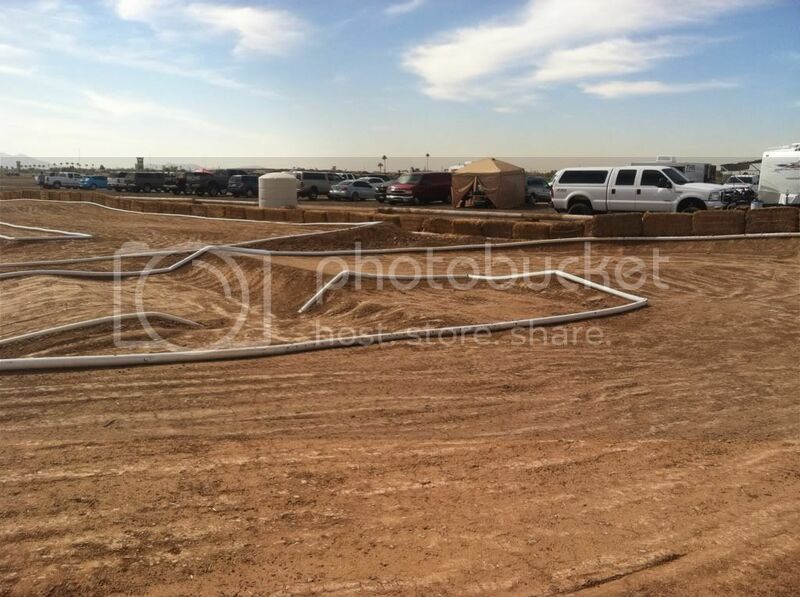 Sounds like a turnout of over 50 drivers and all the 2WD baja 5b’s and 5t’s had to be clumped together. Pretty interesting for sure… Video coming soon. This even looks huge. All the big names out there. 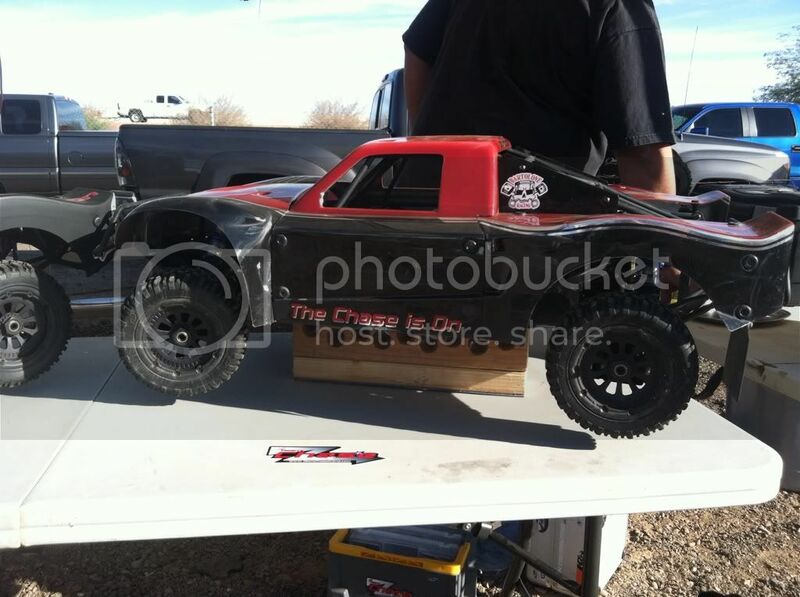 The truck of Gary Kyes from Losi. TeamChase says there are 570 entries in the Nitro classes. That is HUGE and so cool to hear. The best part about that is the amount of people who will get to see the large scales in action up close and personal. That is whats so exciting about this event and why it is so important. If we did not have prior engagements LSN would be there updating LIVE but we feel TeamChase is going to give us a great view and inside scoop of whats going on there this weekend. A LSN Exclusive , Killer RC sent in all the details on this new kill switch just this morning. Read below on on it’s cool features. Thank you Killer RC for sending in the information and for your continued efforts on one of the most popular upgrades racers and bashers alike use on their large scale machines. Ask all your questions on the Killer RC forum HERE. Get the Super Bee Kill Switch HERE. It’s called the Super Bee Kill Switch. It’s replacing the Killer Bee. We’ve packed it full of features. LED output, which can power up to 8 sets of Killer RC 6v LED headlights. The headlights will also flash when battery gets low or engine gets hot. Data Logging, which means you can plug it into your PC and it will show you a graph of your engine temps, radio glitches, and battery voltage. It’s 4 Kill Switch versions in one. No need for multiple versions for different radios. It’s almost half the size of the Killer Bee kill switch. The retail price of the kit is actually lower than the Killer Bee kit was. The guys over at RCLargeScale.com have done a Spotlight on TGN Distributing and Exeter Hobbies. As most of you know LSN is owned and operated by TGN. Recently we opened a retail store within our new location in Exeter Ca. We have named the hobby store Exeter Hobbies. We have expanded our lines to planes, helicopters, boats, trains, models, toys and much more. 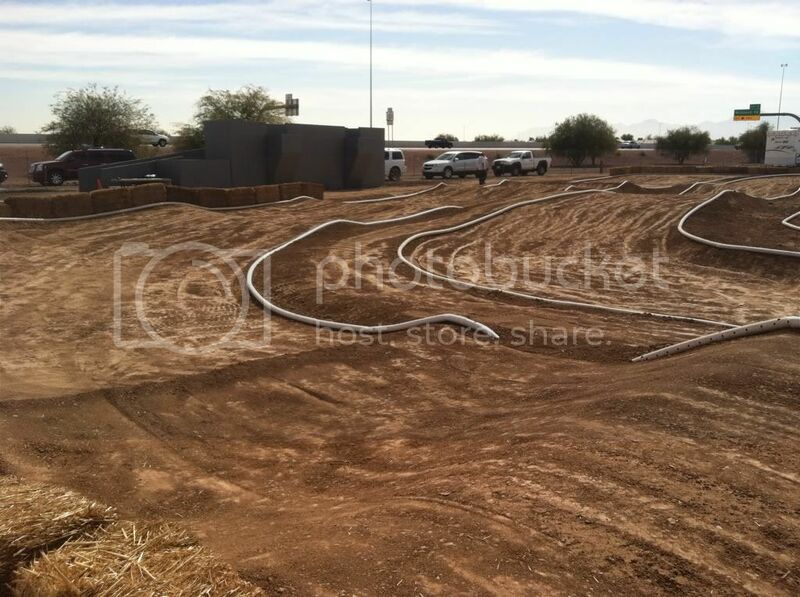 We are also in the process of building an indoor track for 1/10 scale RC’s. Having the retail store has done more for TGN than we ever though it would. It has not only allowed us to expand our product line but we have also learned so much about the up’s and down’s of running a retail hobby store. It has been truly enlightening and a very positive experience for TGN Industries as a whole. Follow the link HERE and check out some exclusive images of the TGN facility. We are in the middle of moving a lot of things around. When we moved in 6 months ago we just had to get things working for TGN no matter how it looked or worked. Now with our expanding retail store, our track and our growing distribution business we are now taking the time to really get things organized and streamlined. We hope you enjoy and we hope to meet some of you in person. We expected to see a lot more tuned pipe options for the 4wd Losi 5IVE-T by now. Its been months and there really has not been a lot of great options besides the very popular Bartolone Racing Pipe. Well maybe thats because it’s a hard pipe to beat when it comes to overal performance and quality. So how do you beat that Bartolone? Put his experience and knoledge to your use and higher him. Even though that is not what Losi is stating below when they say “with the help of one the premier 1/5 scale engine/pipe builders“. But that is what industry rumors and speculation amounts too. We know Bartolone builds motors for the Losi race team and with his relation to Losi and this pipe looking almost identical I would have to say the industry assumptions are correct. Check out all the details below. The Losi LOSR8020 tuned pipe is dollar-for-dollar the easiest and cheapest performance upgrade you can buy for your 5IVE-T. This complete exhaust system uses advanced two-stroke tuning technology to dramatically increase the low and mid range power and throttle response allowing any common 23-31cc engine to reach peak RPMs much quicker. 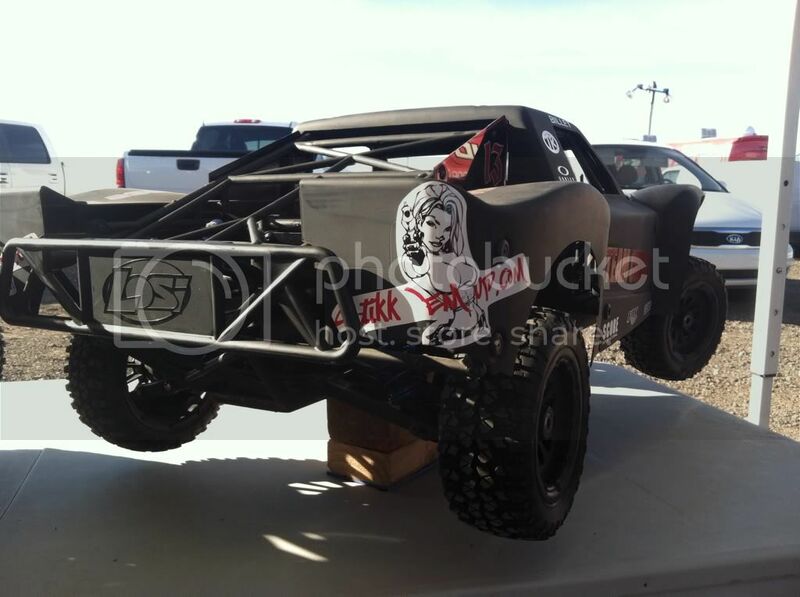 The development was done over hundreds of laps and many hours by the Losi development team with the help of one the premier 1/5 scale engine/pipe builders. This design features a separate conical header and an ultra smooth tooled expansion chamber with a telescoping fit for both reliability as well as performance. The use of advanced precise tooling to produce both the header and the pipe optimizes the shock wave effect of the expansion chamber system as well as maximizing the durability. The hi-quality steel alloy is coated with a rust and heat resistant black finish for added protection and appearance. The compact design offers plenty of room for access to chassis parts and, since the pipe bolts directly and securely to the engine, gear changes and service on the clutch or engine is extremely easy. All mounting hardware, exhaust gasket and coupler are included as well as being available separately. Nothing too serious here guys, just a good solid little product from TGN shipping now. The Losi 5IVE-T already comes with a fuel line clamp but its made of plastic and we wanted to spice it up a bit and add some glitz and glamor to your ride. They are 100% machined from solid 6061-t6 aluminum and anodized in red, blue, black or plain silver. These clamps fit and work just like the stock clamps and include the needed stainless center clamp screw. The diameter of the holes allow for the fuel line to pass through with no interruption of the lines while also keeping them in place and out of the way. This part also allows for the clamp to hold onto many aftermarket slim filters like the one pictured below (crap trap). Making it easy for quick fuel line removal and more. Funny story about this product. As many of you know, TGN was involved with the testing of the Losi 5IVE-T for more than a year before it was announced. The entire time we were testing our prototype truck it had a simple fuel line holder that was a press fit type (kind of like the HPI baja has). We though an actual clamp would be better so once the production truck was announced we asked our machinist to make us a clamping version of the pinched/press fit type I had on my truck. Well a month or so later when my machinist got around to making our first test part we went to put it on a new stock production truck and BAM there is was, Losi had beat me to the punch and changed theirs to a clamp style on the production version before I even knew it. This shows you Losi’s dedication to making the best product they could even when it came to a simple part like this. Pretty cool. These a-arms (or swing arms as some call them) are not your normal run of the mill billet. I have seen these arms in person on car of John Schultz of HPI and as well as others during a long year plus testing phase. I have heard nothing but good about them. They are light weight and ultra strong, everything you want in an important suspention part. Also note below the 1/4″ extension built in, sounds trick! TGN will be offering these arms for the HPI Baja on their website soon, as well as anything else Vanquish may have up their sleeve. We are happy to see a manufacture with such skill and tallent and extreme capabilities join the 1/5 scale market. Welcome aboard Vanquish. Watch the Vanquish section on TGN for more info HERE. Vanquish Products Extended HPI Baja Swing Arms. Over 2 years in development and testing by pro drivers. Final Design Approved by HPI RACING top rank Pro Driver John Schultz. These arms are precision CNC machined from Domestic solid Billet Aluminum. They are 1/4 inch longer per side for a total width increase of 1/2 of an inch. each arm weighs 3.4 oz. Improved scrub radius vs. using hub extenders. They include Team Fast Eddy licensed extended ball joints. Vanquish Products proprietary zero slop brass adjustable Heim joint. Heavy duty high tech nylon pivot Bushings Impregnated with molybdenum disulphide lubricant powder. each arm weighs 1.7 oz. Ok so they may not be secrets as much as they are good standard operating procedures when rebuilding or building a differential in any R/C car or truck. The diff Ed builds in this video is for the Losi 5IVE-T but his tips and tricks are useful for anyone. Like all videos TFE does, this one is clean, profesional and detailed. When building or re-building a Losi 5IVE-T diff make sure to order up the TGN Diff Gaskets found HERE. Check all of the great instructional videos by TFE on his YouTube channel HERE.